One of my favorite visits during my recent to trip to the Dâo was to Casa da Passarella located in the Serra da Estrela subregion. Casa da Passarella is a historic wine house which began producing in 1892. The estate was instrumental in the creation of the official Dâo wine region demarcated map in 1908. The Dâo region is the oldest for still wine in Portugal. 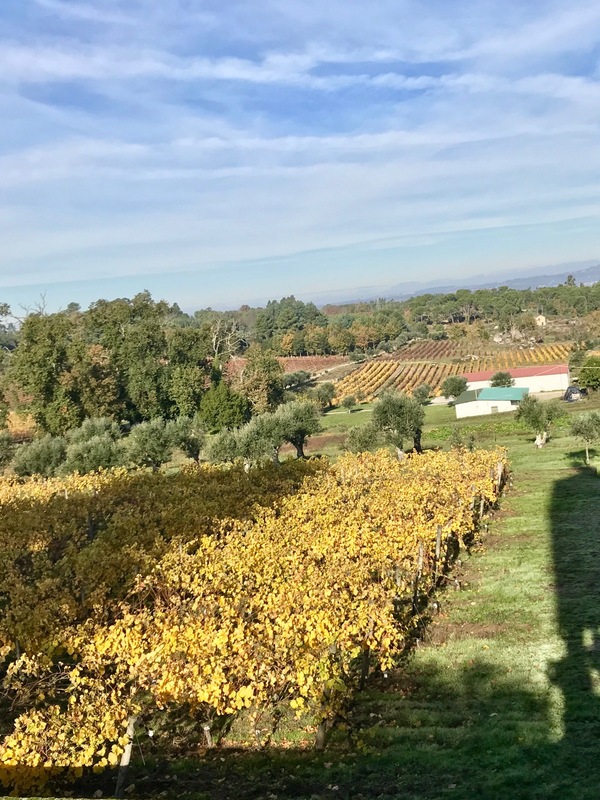 The Cabral family now owns the estate and has worked hard to maintain the traditions and the stories of those who were there first, their slogan is "Stories written in wine." Fortunately, while some of the history has been lost to the past, fanciful legends now fill in the blanks. Paolo Nunez, the winemaker at the property since 2008, greeted us in the courtyard. He shared that he was born in Douro where he studied enology. He had tasted Dâo wine and liked the more refined style from the region. 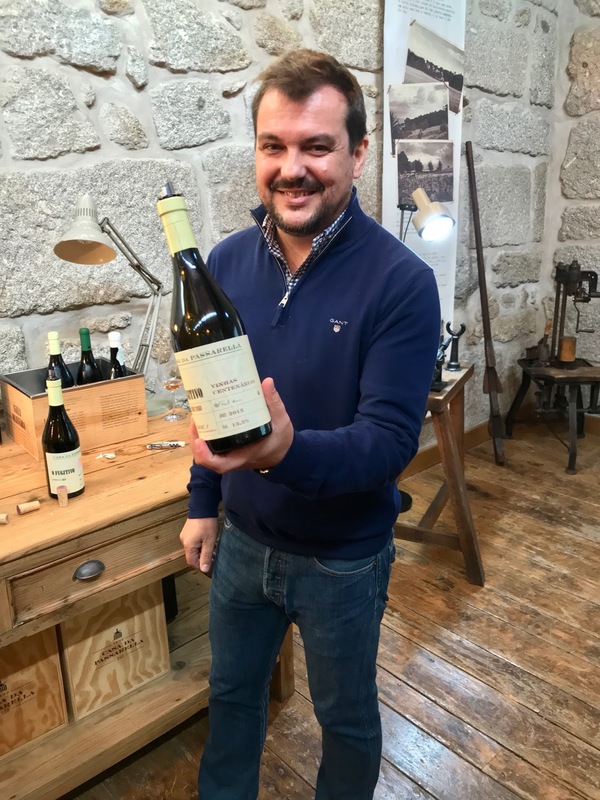 He wanted to make this type of wine rather than fortified Ports so he came to the region in 2003 to work as a consultant before taking over at Casa da Passarella. It was a sunny yet cold morning as he led us out to see the vineyards. 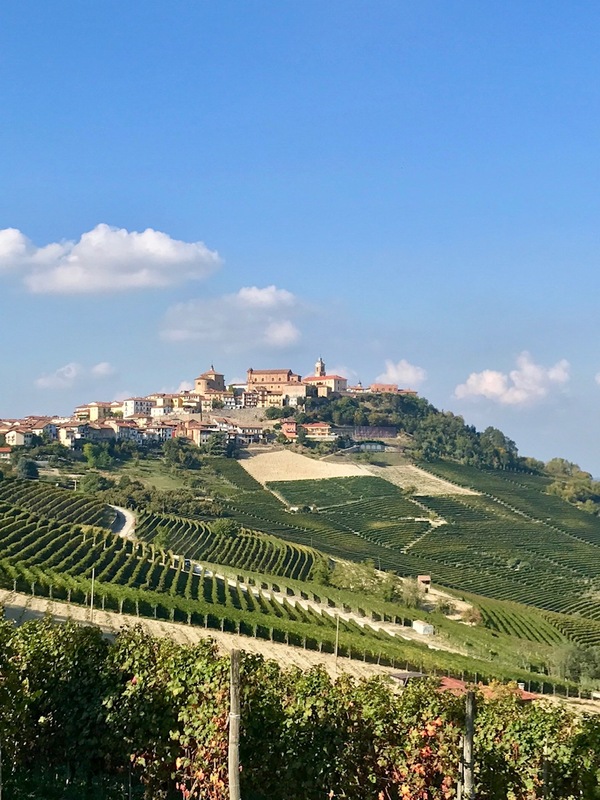 He shared that it is always cold in this part of the region, even in the summertime, and they often got snow in the vineyard in the winter. 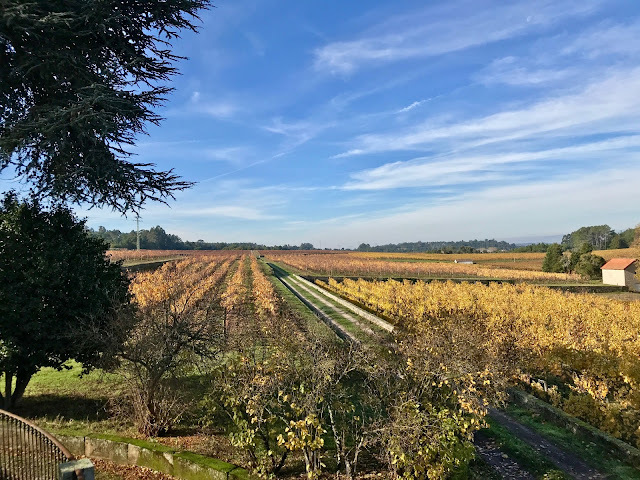 The 100 hectare property sits at 800 meters above sea level and the climate is influenced by the cool winds coming from the Serra da Estrela mountains for which the subregion is named. 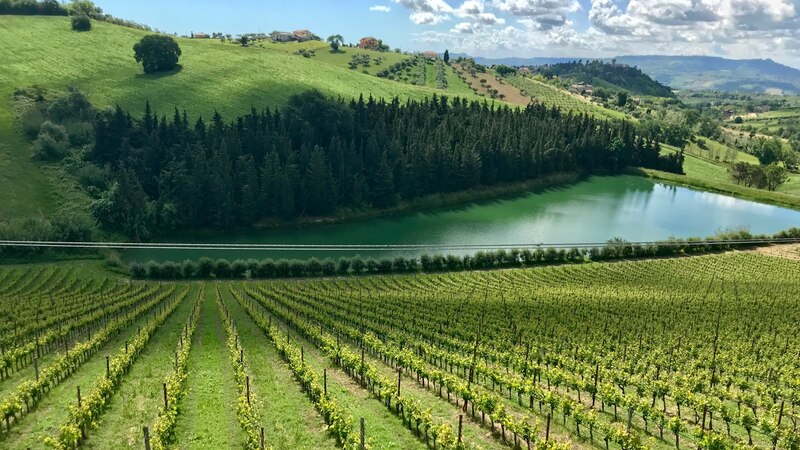 They have 45 hectares under vine where they grow Encruzado, Malvasia Fina, Verdelho, Touriga Nacional, Jaen, Tinta Roriz and Alfrocheiro along with small amounts of Baga, Alvarelhâo, Tinta Pinheira, and Tinta Carvalha which are used for the red field blends. 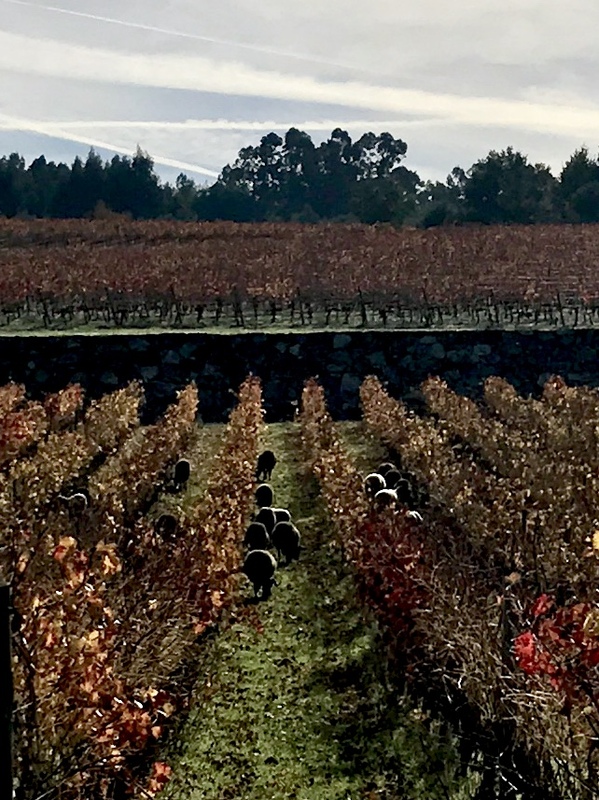 The vines grow in granitic low fertility soil and Nunez shared that due to the seclusion of the property, it was fairly easy to grow organically though they had not sought certification. We headed back to the winery for some warmth and a wine tasting. 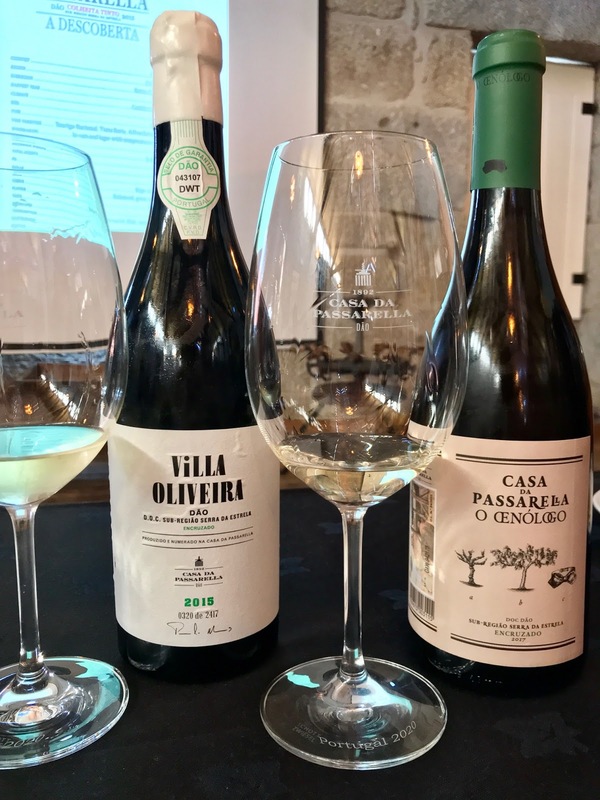 Casa da Passarella O Oenologo Encruzado 2017 - The grapes for this wine are treated to a pre-fermentation maceration before being fermented in used wood casks. 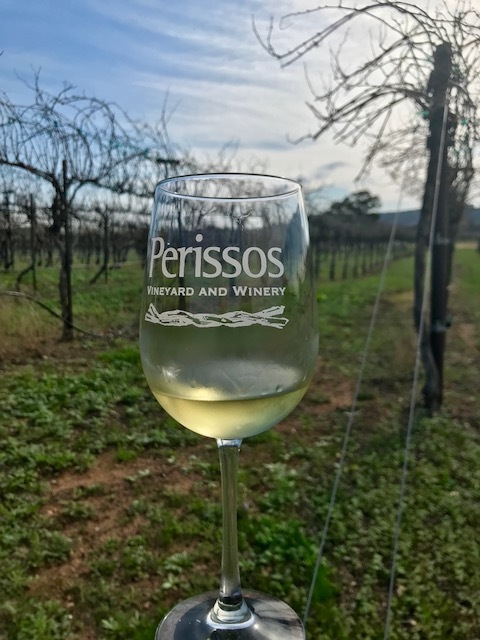 This white had aromas and flavors of tangerine citrus with verbena, a medium body, vibrant acidity, and a long citrus finish, very pleasant and drinkable. This wine comes complete with a story of twin brothers, one good and one less so. Which one deserves the Nobel Prize in wine making? Villa Oliveira Encruzado 2015 - This smaller production fuller-bodied white wine aged 9 months in 600 liter oak barrels. More complex, displaying lychee, pear, and citrus with an elegant, fresh, mineral-laced finish. This was bottle number 320 of 2417. The Villa Oliveira label was original to the estate, they have a bottle dated from 1893 on display. Casa da Passarella Colheita Tinta "A Descoberta" 2015 - This violet-purple colored red blend of Touriga Nacional, Tinta Roriz, Alfrocheiro, and Jaen. Ripe red fruit aromas and flavors of raspberry and pomegranate was fresh and balanced with moderate tannins and good acidity with a medium length finish. There is a box pictured on the label that had been hidden in the walls of the house by the former owners. It was found in 2010 during renovations piquing great interest before it was opened and found to be empty, or was it? It, too, has a story written in wine. 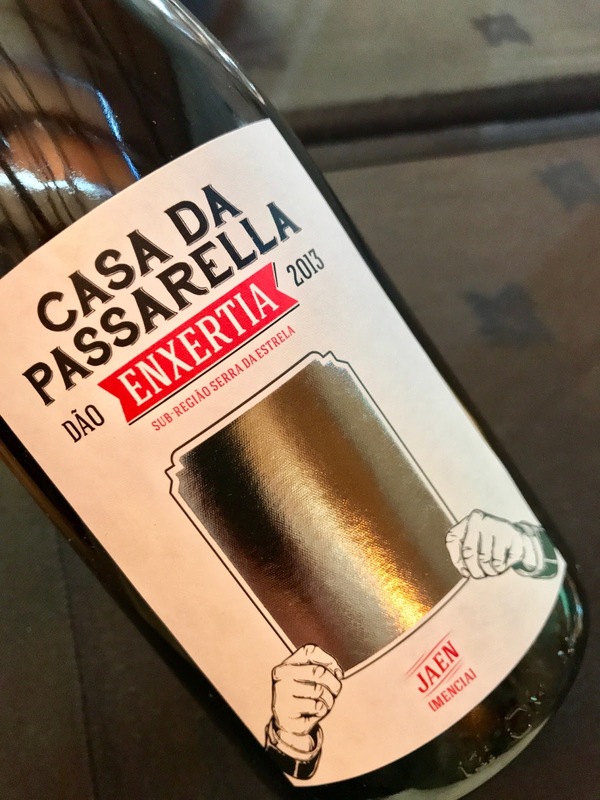 Casa da Passarella Enxertia Jaen 2013 - This single varietal almost opaque red was fermented and aged in cement vats exhibiting spicy notes of black pepper over fresh raspberry with a light vegetal hint. It was well-balanced with fresh acidity, soft tannins, and a long mineral-laced finish. This wine's story involves grafting, levitation, and a mirror to end phylloxera, truth or fiction? 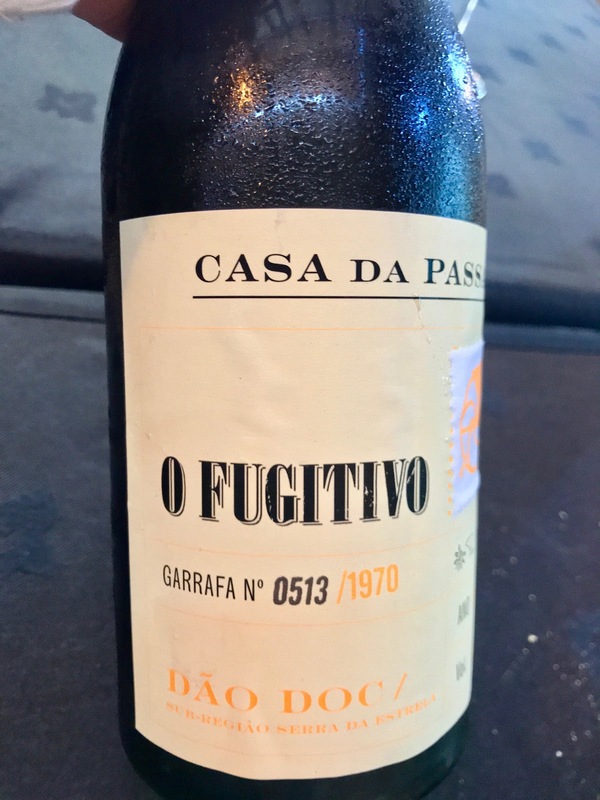 Casa da Passarella O Oenologico Vinhas Velhas Tinto 2014 - This field blend has a total of 24 different grapes which underwent a pre and post fermentation maceration before aging for 18 months in oak barrel. 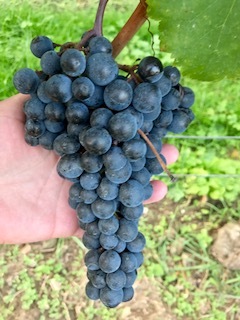 It was an almost opaque red color with aromas and flavors of mixed red fruit with spicy notes, a full body, moderate tannins, and a long, fresh finish. 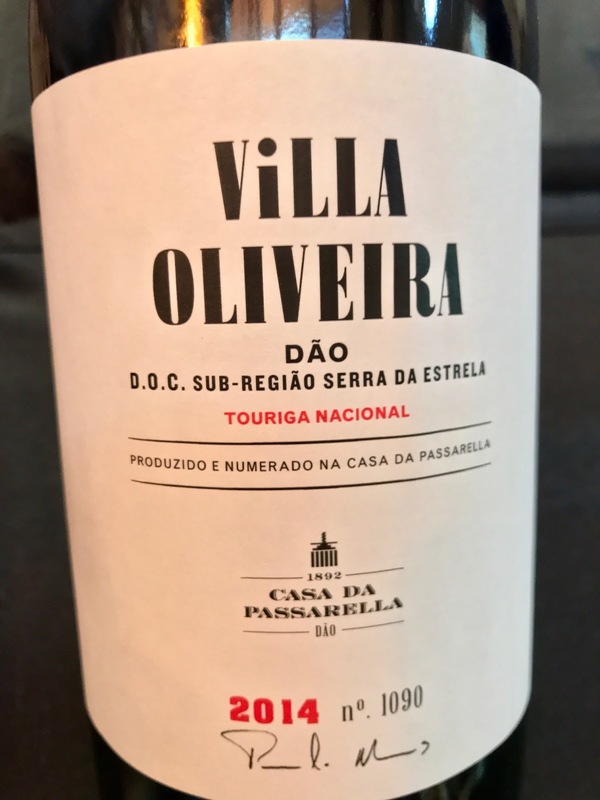 Villa Oliveira Touriga Nacional 2015 - Also made in cement vats with pre and post fermentation maceration, this wine aged for one year in 225 liter French oak barrels. 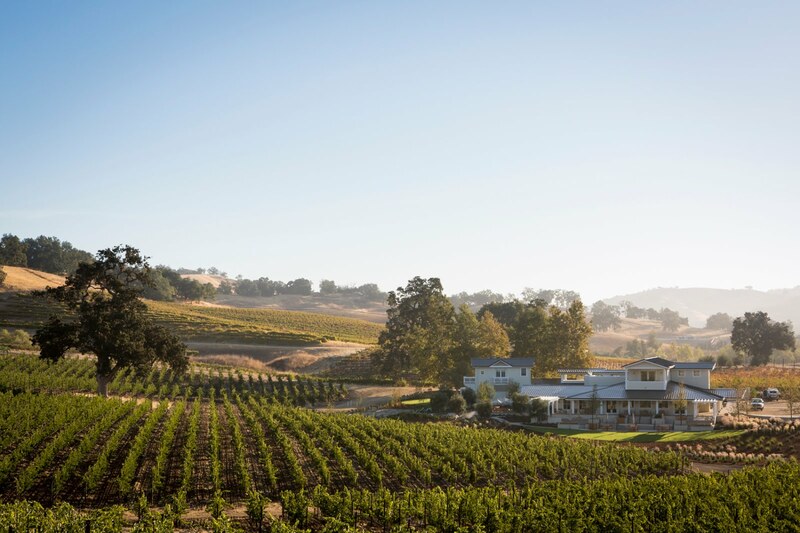 With a fully opaque red color, this wine showed bright aromas and flavors of red currants and raspberries with a hint of bergamot, it was full-bodied, fresh, and elegant with a long, smooth, spicy finish. Casa da Passarella Fugitivo Vinhas Centenárias 2014 - This red blend of 25 native varieties come from vines that are over 100 years old which is vinified traditionally in a lager before spending one year in 600 liter oak casks and 2 years in the bottle before being released. The wine was a sheer red color with bright red fruit aromas, a vegetal hint, medium body, smooth tannins and a persistent fruit-filled finish. This was bottle 552 of 3160 made. 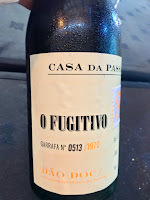 Casa da Passarella Fugitivo Vinhas Branco 2016 - This full bodied, fresh white has a long slightly savory finish and comes from an old vines field blend of "all the dog grapes," per Nunez. It spent one year aging in oak casks and one year in bottle before release. This was bottle 513 of 1970 made. A love story and an escape from a soon to be war-torn Europe accompany this and the previous wine. All of the wines tasted are highly recommended. I was particularly taken with both Encruzados and the Jaen. This winery is on route 5 of the Dâo Wine Route and is tourist friendly with both vineyard and winery tours, wine tastings, and a wine shop.